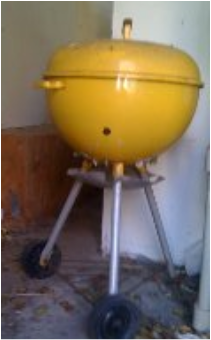 The Pro Grill Non-Cook is the person who very nearly almost never cooks, except for grilling. The grilling usually happens outside, and the grilling usually involves meat. 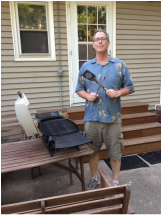 Anecdotal evidence tells us that the Pro-Grill Non-Cook is very nearly almost always a man. "Men learning to Cook often start with the BBQ grill, perhaps because they have been roasting meat over fire for a couple of hundred thousand years. Of course women do it equally well, but then they must think, Let the dickhead go at it, I'm tired of doing all the cooking." --Jim Harrison, from his essay "Chef English Major"